The Felis lineage consists of six small wild cats in the Felis genus as well as the domestic cat (Felis catus). 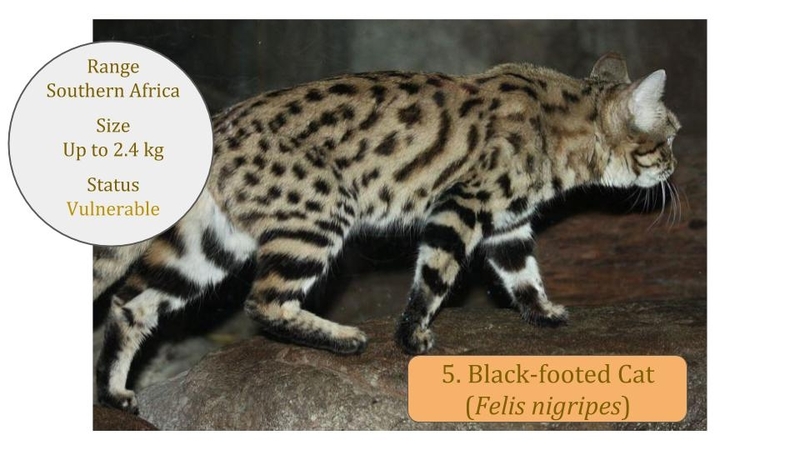 Except for the Jungle Cat (Felis chaus), all the other species in this group weigh less than ten kilograms, and the Black-footed Cat (Felis nigripes) is generally regarded as the second smallest cat of all the Felidae species. Common characteristics of the Felis genus include high and broad skulls with short jaws. The ears are narrow and pointed with short tufts, and there are no distinct black or white markings on the backs of the ears. The eyes have pupils that contract to a vertical slit. 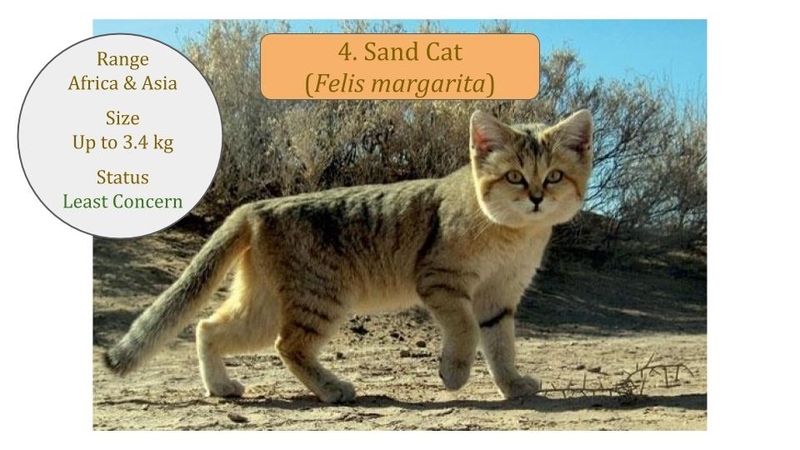 The genus name Felis comes from the Latin word meaning ‘cat’. Genetic studies to determine the evolution of the Felidae cat family indicate that the Felis lineage (also called the Domestic Cat lineage) together with the Leopard Cat lineage diverged from a common ancestor in North America about 6.2 million years ago (MYA). The Felis lineage subsequently split off at 3.4 MYA and is the ‘youngest’, most recent lineage. Some of the ancestral cats that moved back to Asia during the second ice age across the Bering land bridge, evolved there, whilst others spread into Europe and some even further into Africa. 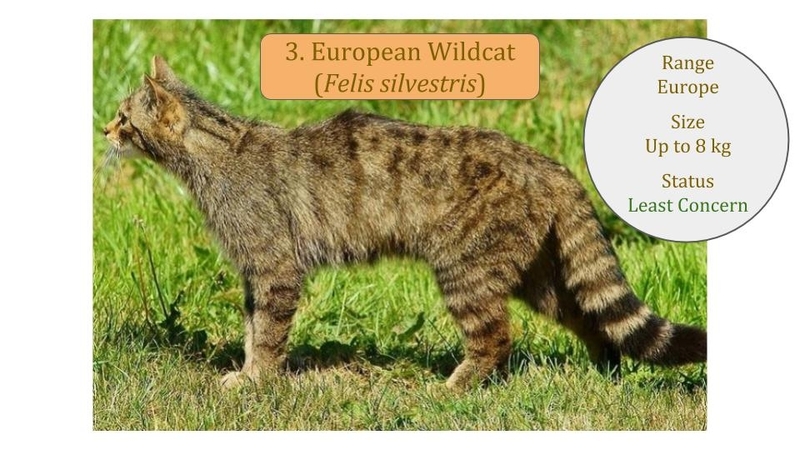 The three Wildcats (African, Asian and European) are sometimes grouped as subspecies under Felis silvestris or listed as individual species, and the domestic cat is not usually included. The way this particular group is described often accounts for the differences reported in the total number of wild cat species. 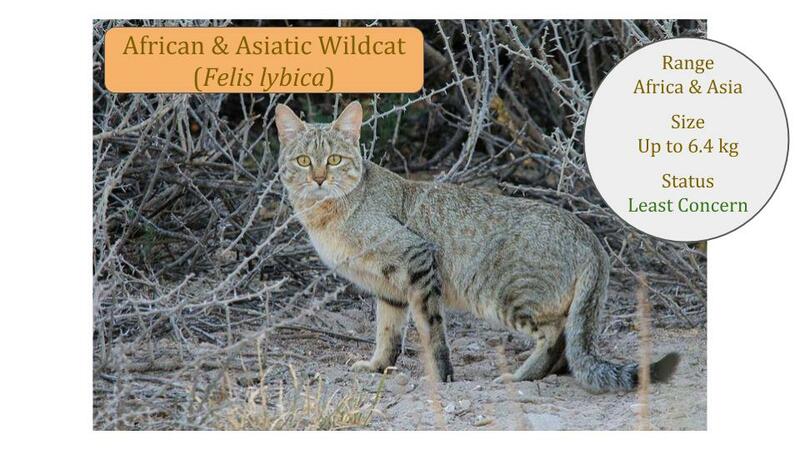 As at 2017 the IUCN Cat Specialist Group proposed that the African and Asian Wildcats are now grouped as one species (Felis lybica) and separate to the European Wildcat species (Felis silvestris) which is the taxonomy followed on this website. 1. Which species is the ancestor of the domestic cat? 2. 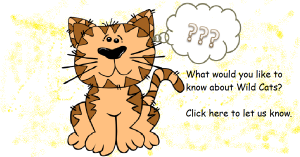 Which cat is often quoted as the smallest cat species? 3. 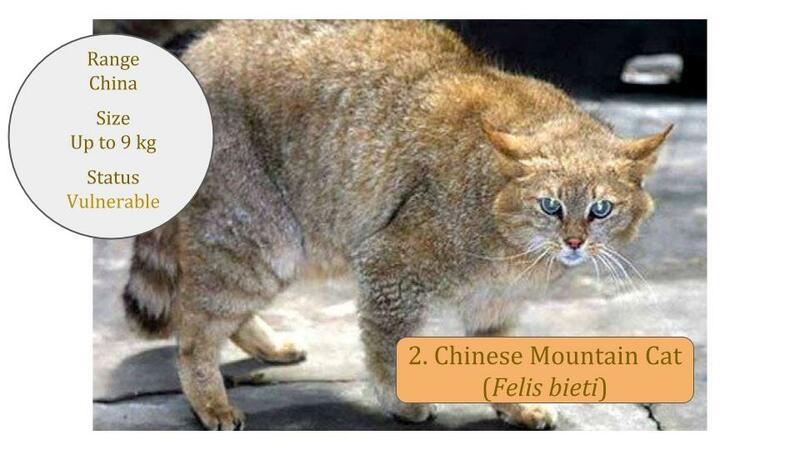 Which of these cats only occur on one continent (“endemic”)? 4. 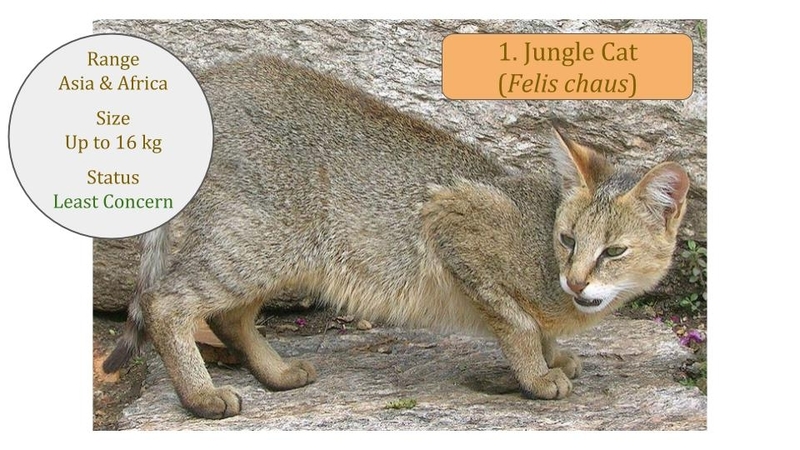 Which of these cats occur in the Americas? 5. Which cat only has the extreme end of its range in Africa? 6. Which species can breed with domestic cats and is thus affecting their pure bred gene pool dramatically?